Albania are one of the founder members of UEFA, but the closest they've ever got to the World Cup finals was turning down their invitation to take part in the 1934 finals. Another shirt from Subside Sports, the badge is transfered onto the material. 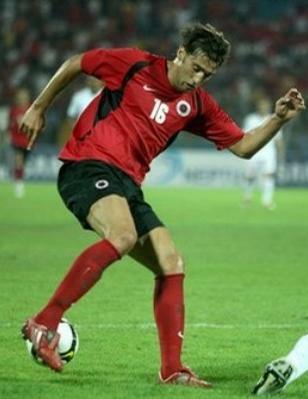 Where can I buy Lorik Cana (Number 5) nike football top for cheap in the U.K?